Patricia Volk is a sculptor from Northern Ireland who now works from her studio in the West Country. She was determined to get an art school education and began doing a series of adult education classes. Despite her flailing confidence she pursued a Foundation course which was promptly followed by an art degree and before graduating she had secured studio space locally to continue this path. Since then she has become a Fellow of the Royal Society of Sculptors, and sells her work through various galleries. Most recently she says she is showing with young galleries who have a design focus and she likes the placement of her work in this setting. 2. Patricia is particular about how her work is presented and has learned that galleries that do not show much sculpture often require guidance. They need to be shown at eye level like paintings. 3 Each of her works are unique, made up of components that play with each other. 4. 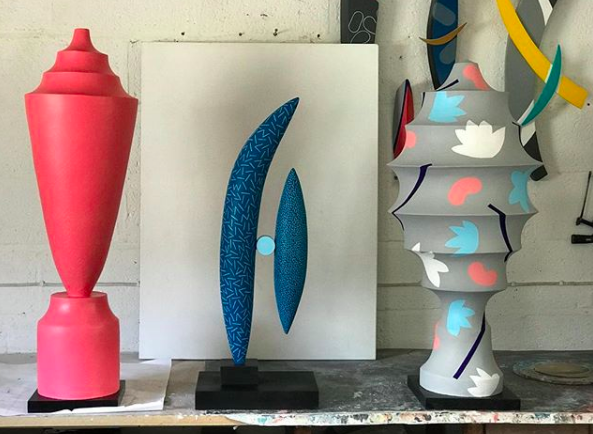 She is in pursuit of the perfect line and is interested in the negative space around her sculpture as much as the space that the art work occupies. 5.One of her biggest inspirations was a trip to the US where she found that artists working in clay were freer in how they treated the material and in particular glazes and paints. 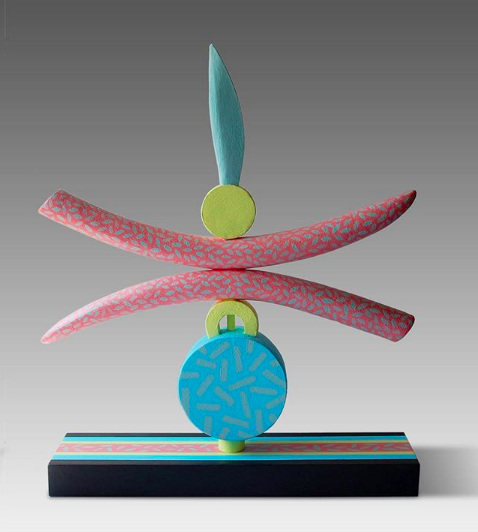 Patricia uses acrylic paint on her ceramic sculptures and enjoys the freedom this offers her in terms of the possible palette and depth of colours. 6. She is open to commissions and would like to produce large scale public sculpture or installations. 7. Her favourite places to visit for art inspiration include the Tate Gallery and Hauser and Wirth. 8. She still can feel knocked down by rejection letters from galleries and exhibitions. However she finds support online through Twitter and Instagram and knows the value in supporting fellow artists and makers.